Our new QUICK COLOUR CONTOUR SUPERGEL is so easy to use, it’s like sculpting for dummies. A cushioned-tip, fluid-light, perfect contouring tint, with sheer, smudge-resistant texture for placement and control. Just sweep it down cheek hollows or along the jawline, blend with a brush, then dust highlighter above. Are you sure you want to buy Quick Colour Contour Supergel for our typical price? 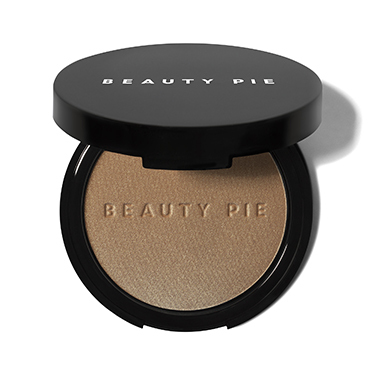 Beauty Pie members pay only $6.27 for this item! Sorry, you need a Membership to buy Quick Colour Contour Supergel at Factory Cost. The best contour gel formula we’ve found. Twist up the fool-proof nozzle and pump gel onto sponge. Apply gel directly from sponge tip onto cheek hollows and/or along the jawline to sculpt and define features. Blend with fingertips or a brush, then dust highlighter above for the finishing touch. Close the twist nozzle when finished. This in shade 01 has become my new go-to product even on a low make up day. Lovely natural look on my fair skin. I first tried it on top of the tinted moisturiser and it just slid around, no colour payoff, very patchy. But when used on my normal foundation base it's gorgeous. Can be light or heavier depending on your desired look. Very easy to tone down if you accidentally put too much on! I was scared of contour products and haven't gotten on well with powders or creams, but this has been a dream to use. I don’t actually use this for contour as I am personally rubbish at it. I do however use it on my eyes as a lovely wash of colour or base for a brown smokey eye. Once this drys it isn’t going anywhere! It’s a lovely colour but not for everyone. Lovely sepia tone!